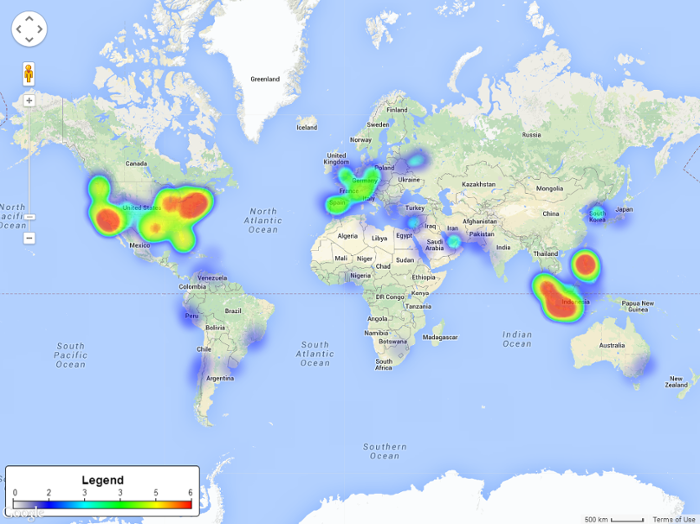 Data mining project uncovers striking information hidden in food tweets. Whether you tweet about #delicious #bbq or #vegan #foodporn, your word choices may reveal more than you suspect. A team of scientists from the University of Arizona (UA) studied millions of tweets and discovered that analyzing food-related words could anticipate characteristics such as obesity, diabetes, and even political leaning. Talking with your mouth full. Does what you eat (and how you talk about it) reveal who you are? University of Arizona professor Stephen Kobourov thinks so. He analyzed millions of tweets and found that the language of food predicts factors ranging from obesity to political preference. Obesity and diabetes are major public health problems in the US, and rates are increasing around the world. Seventy percent of US adults are overweight or obese. 30.3 million have diabetes (roughly the combined populations of Ohio, Georgia, and North Carolina). An additional 84.1 million have prediabetes, which often leads to diabetes — and only 10 percent of them are aware of their condition. If nutritionists could identify those at risk, they might be able persuade them to modify their behavior via social media. The study originated with a UA nutritionist who asked students in her class to ‘tweet what they eat’ over the course of a semester. The researchers initially looked for, and confirmed, patterns already known in nutrition literature, such as people eating unhealthily towards the end of the day or when they’re in a hurry. But when they decided to expand the study, they turned to Twitter to see what other trends they might uncover. Examining more than 3.5 million tweets over a nine-month period in 2013-2014, the team looked for hashtags that included meal names: #dinner, #breakfast, #lunch, #snack, etc. The researchers applied the topic modeling tool MALLET to the collected tweets to capture specific patterns in diet, language, and lifestyle. They eventually arrived at 200 topics and assigned labels such as ‘American diet’, ‘Vacation’ or ‘Airport’. Now it was time for prediction: If a tweet came from, say, Texas, would the words in that tweet identify whether the overweight and diabetes rate for that state were above or below the national medium? The answer was yes. Using just food-related tweets, the researchers could predict whether a state was above or below the median overweight rate with 80 percent accuracy, and diabetes rate with 68 percent accuracy. The study also revealed regional trends, such as the popularity of ‘grits’ in the southern states and ‘clam’ in New England. But it may be too surprising to learn that the topic cluster the researchers labeled ‘American Diet’ (chicken, baked, beans, fried) is associated with both obesity and diabetes. And that’s where the psychology comes in: Most people don’t like to be told that their favorite foods are bad for them. “We’ve been testing ways to deliver news of the type, ‘You may be at risk of diabetes’, but we know that browbeating people won’t work,” says Kobourov. So what about that political prediction? Originally added to the study as a statistical control, the researchers discovered that they could also predict a state’s voting history based only on analysis of food-related words in tweets. Words that correlated with Republican-leaning states were my, #lunch, I, airport, #easy, #meal, tonight, #healthy, after, work, #party, lol, #snack, #delicious. 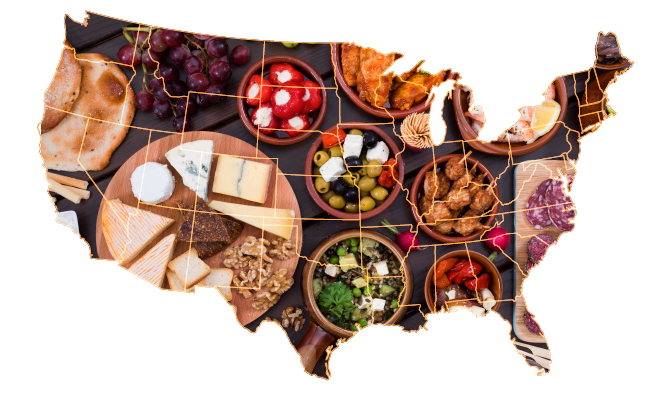 Residents of Democrat-voting states favored #vegan, #yum, served, #brunch, deli, cheese, #breakfast, #bacon, win, toast, and #dinner. Does this mean that Republicans enjoy #lunch, but Democrats prefer #brunch? Blue states tend to be those containing our country’s largest cities, with a younger, more affluent — and liberal-leaning — population. This is reflected in tweets in city-centric tweets about dining out, such as deli, brunch, win, competition, open. What we eat — and how we talk about it — reveals not just our background, but what we aspire to and what we want other people to think about us. Food is necessary for survival, but it’s so much more: We are what we eat.